A unique opportunity was made available to the 18 PGA Golf Management accredited University programs, as each school has the opportunity to send up to two representatives. EKU sent sophomore, Alec Bahnick from Owensboro, Kentucky and junior, Karissa Hardesty from Brandenburg, Kentucky. 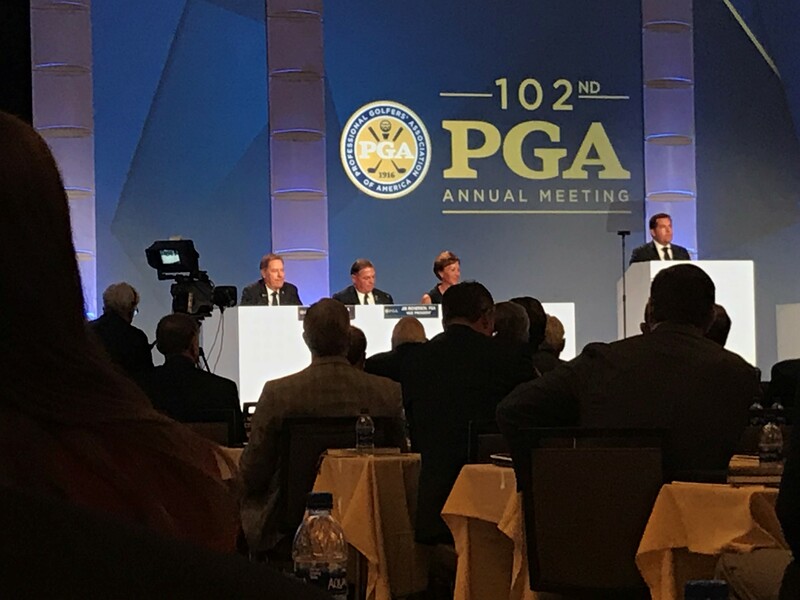 During their time at the 102nd annual meeting, Alec and Karissa gained knowledge of how the PGA of America governs the association. They were also given the opportunity to network with industry leaders of the association, including current and past presidents at a student dinner.